Places in the main draw of the Junior Girls’ Singles event at the 2017 Spanish Junior and Cadet Open in Platja d’Aro at stake; surprise names stumbled as play in the group qualification phase came to a conclusion on Wednesday 17th May. 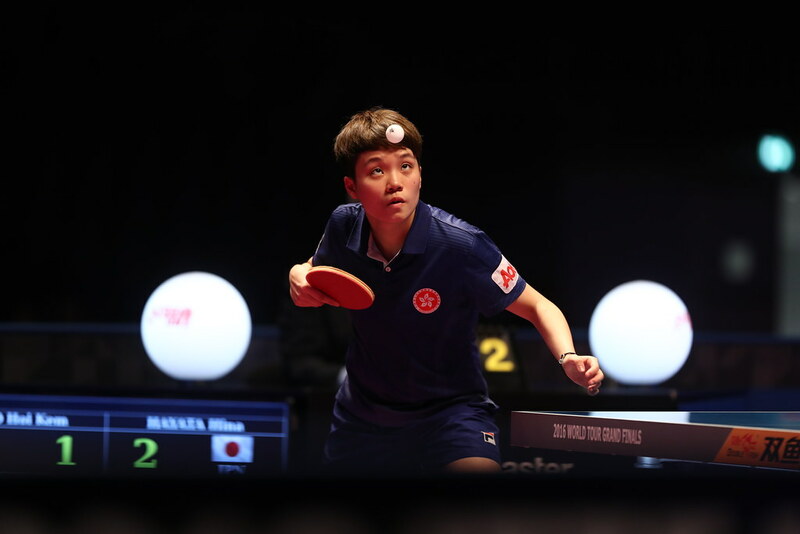 In a competition where the top eight names received direct entries to the main draw; Japan’s Yuka Minagawa and Satsuko Odo duly remained unbeaten to secure first places in their respective groups, as did Russia’s Ekaterina Zironova and Serbia’s Tijana Jokic. Listed at no.99 on the current Under 18 Boys’ World Rankings, Joan Masip experienced defeat by the narrowest of margins at the hands of Russia’s Pavel Linev, named at no.193 (6-11, 11-9, 11-5, 8-11, 13-11); Francisco Miguel Ruiz was beaten by Portugal’s Samuel da Silva (11-5, 5-11, 11-8, 11-5). Presently in the junior order of merit, Francisco Miguel Ruiz is at no.122, Samuel da Silva at no.152. However, for the two Spaniards it was their only defeat, second place was secured and thus alongside the players against whom they had experienced defeat and had remained unbeaten, it was progress to the main. Defeats against lower rated players, for their colleagues, Alberto Lillo and Javier Soria, both players with no current world ranking, it was the reverse scenario. Both remained unbeaten to secure first places in their respective group. Furthermore, both recorded most noteworthy wins. Alberto Lillo accounted for Japan’s Takeru Kashiwa (11-8, 5-11, 11-8, 11-6) to end the hopes of the Japanese teenager who at no.66 on the current Under 18 Boys’ World Rankings, was the highest rated player on initial phase duty. One match earlier, he had been beaten by Finland’s Arttu Pihkala (5-11, 13-11, 8-11, 13-11, 11-7) and thus concluded matters in third place and with no passport to the main draw. Alberto Lillo duly accounted for Arttu Pihkala to top the group (12-10, 11-3, 11-6). Success very much against the odds for Alberto Lillo; it was the same for Javier Soria. He caused a major surprise by beating Germany’s Cédric Meissner, ranked no.87 (11-9, 13-11, 11-9); the only difference being that it was the German’s only defeat and he duly advanced to the main draw. Surprises but amongst the other names on qualification group stage duty, it was a clean sheet and progress to the next stage. Notably, Frenchmen Bilale Hamache and Dorian Zheng alongside Qatar’s Mohammed Abdulwahhab, Japan’s Hiroto Shinozuka, Portugal’s José Pedro Francisco and Russia’s Anton Kotov duly remained unbeaten to top their groups. fact it makes him stronger.